The Aridell Mitchell Home has six two-bedroom apartments for single families. Each resident is assisted in adopting a plan for independent living, education or work training and is linked to resources that will aid in achieving their goals. Our goal is to assist them as they become productive adults. The building, owned by Goodwill Missionary Baptist Church, had previously served as individual apartment homes but had lapsed into disrepair. In 1990 the church decided to dedicate the abandoned building to the community. A Board of Directors was organized with the help of Sharon Lee, who now serves as director of the Low Income Housing Institute (LEHI). A 501-C3 non-profit organization was formed to begin operating a transition home for teen mothers. The Aridell Mitchell Home was named after the late wife of the founder of Goodwill Missionary Baptist Church. The Alma Gamble Apartments were purchased in 1998. It is a two story building with 12 one -bedroom units. The apartments serve low income seniors, homeless, and disabled persons. They’re structured so that residents live in a safe, secure environment. Programs established at Alma Gamble will enable residents to meet their basic needs. They are structured to effectively and successfully provide the services to the residents. • Residents with mental illness and/or chemical dependence will secure appropriate treatment and/or long term treatment. • Residents in domestic violence situations will receive appropriate referrals and response from GD Association staff. • Residents are encouraged to develop essential life skills. GD Association will also assist residents in gaining skills to secure a living wage. 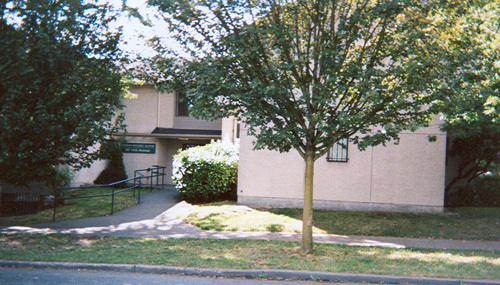 The Norman Mitchell Manor Apartments were purchased in 1998. It is a two story building with 22 one bedroom units. The apartments serve low income seniors, disabled and homeless individuals. Programs established at Alma Gamble will enable residents to meet their basic needs. They’re structured to effectively and successfully provide the services to the residents. • Residents with mental illness and/ore chemical dependence will secure appropriate treatment and/or long term treatment. • Residents will be encouraged to develop essential life skills.